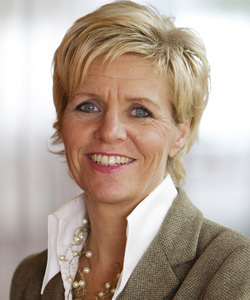 Ingrid Wünning Tschol is Senior Vice-President Strategy at the Robert Bosch Foundation. She received her PhD in Biology from the University of Tübingen Germany in 1985. Her previous positions include: Head of Molecular Biology/Cell Biology Unit at Deutsche Forschungsgemeinschaft in Bonn/Germany and Head of Medical Section at the European Science Foundation in Strasbourg/France. Since 1999 she has been with the Robert Bosch Stiftung, Stuttgart/Germany. She is or was a member of numerous national and international committees.